SAN JUAN, Puerto Rico — Claritza Martinez went into labor with her first child on Oct. 20, one month to the day after Hurricane Maria tore through her Villa Palmeras neighborhood. The roads were impassable and the hospitals were closed. So she did what hundreds of women have done since the storm: She gave birth at home, in the dark. More than half of Puerto Rico remains without power, and a fifth of residents don’t have access to clean drinking water, much less prenatal or labor and delivery supplies. Women are unable to find their doctors and fears of Zika carried by mosquitos amid the flooding are high. In this environment, many expectant mothers are forced to make panicked decisions about where to have their babies — should they drive to a hospital that might not take them or try a potentially dangerous home birth? “The system is just overwhelmed. The doctor-to-patient ratio is too high,” said Ted Held, a physician and volunteer OB-GYN with Circle of Health International, an NGO that trains and sends volunteer medical professionals to crisis zones to assist mothers and pregnant women. 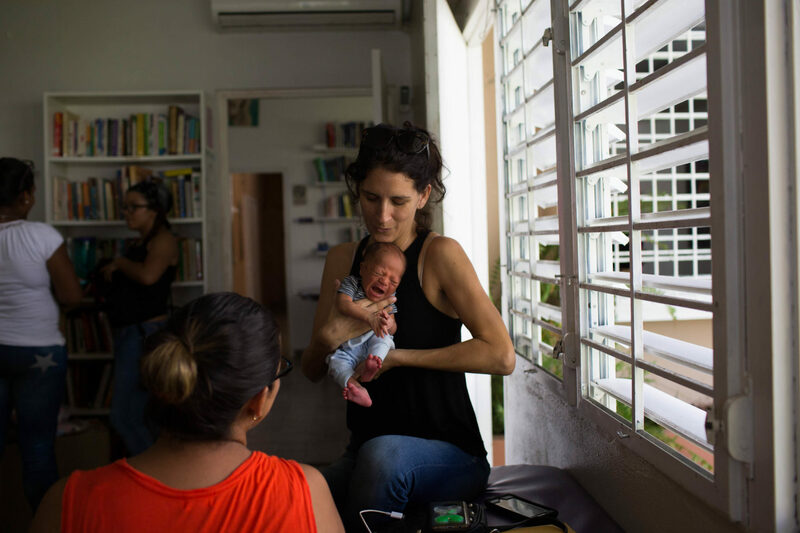 After the hurricane, Held spent two weeks assessing the quality of maternal healthcare at nine clinics located around San Juan and found that many pregnant women were living in poor conditions without enough clean water or food. Many could not afford their doctor appointments or the gas to get there. Held is especially worried about women in cities like Loiza, where 68 percent of the residents live below the poverty line. 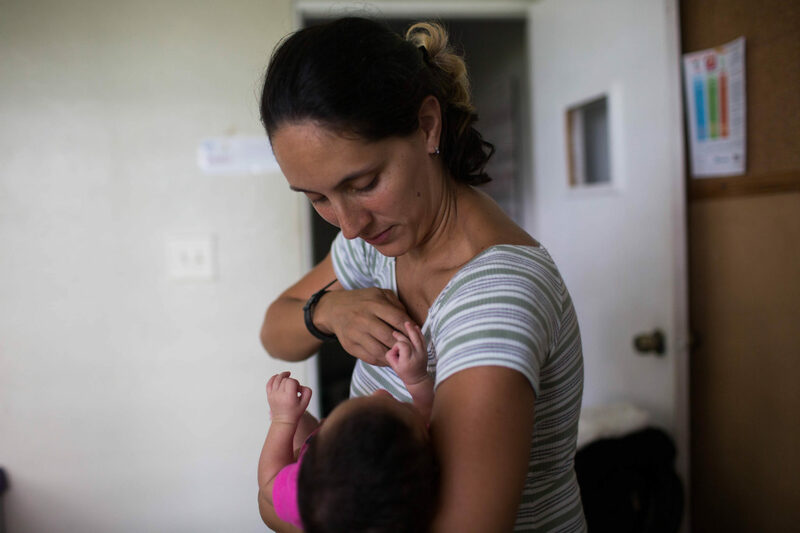 Puerto Rico’s maternal health care system was already weak, with the highest cesarean rate and the fifth-highest preterm birth rate in the United States. Jose Cordero, the former dean of the University of Puerto Rico’s Graduate School of Public Health, worries that stress may contribute to even more preterm births following the hurricane. Martinez found the uncertainty around her delivery stressful. She had planned to give birth in a hospital 10 minutes away, but it closed its operating room and maternity ward as it struggled to keep up with demand for other services. She was lucky to find a midwife who was trained to deliver babies under crisis conditions. After a long labor in the middle of the night and under cell-phone light, Martinez delivered a healthy baby girl with a full head of hair. Some of the disaster relief effort in Puerto Rico has been directed to pregnant women and new mothers. Circle of Health collected 4,000 pounds of maternal healthcare supplies, including syringes, tubing, gauze, speculums, gowns, pads and diapers, and sent them to midwives on the island. FEMA also sent baby kits including baby food, formula, diapers, and bottles. Experts in public health say the need for midwives as first responders during and directly after natural disasters is significant. Midwives are especially helpful because they can work with few resources and they are trained in dealing with stress and trauma. Martinez’s midwife was one of 11 volunteer midwives at a clinic outside San Juan called Mujeres Ayudando Madres, or Centro MAM. They’ve been busy these last two months caring for more than 200 women and families all over the island. In addition to facilitating home births, services include a breastfeeding station at the office (to minimize the chance of babies drinking formula made with contaminated water), Zika prevention, and prenatal and postpartum checkups. Centro MAM was facing financial hardship and nearly closed before the storm. But when the hurricane hit, calls from desperate women came flooding in, and they reopened their doors. To contact Centro MAM, visit their website.